Luxury product... soft skin and smells great! Beautiful scent, soaks into skin quickly and is non greasy. I like it so much I have bought the body wash to go with it. Love this body lotion. Leaves your body smelling fresh all day. Great value for money. Only down side is the change of the bottle colour preferred the purple. Light cream which isn’t greasy at all and leaves a lovely aroma on your skin. Don’t like the new colour of bottle though, the previous purple was much nicer. 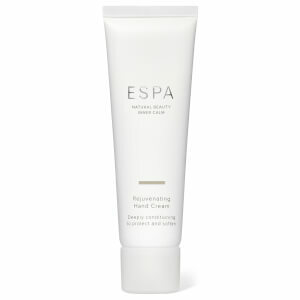 Big fan of ESPA products, as they go on easy and smell great also. Got hooked on a visit to Mandarin Oriental Spa In Miami. If it’s good enough for a top Spa, it’s good enough for me! 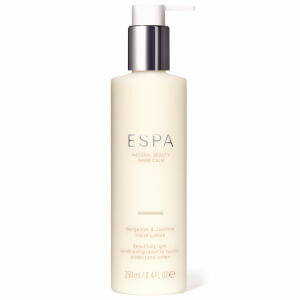 This was my first purchase from ESPA and it is going to be my all time favourite body lotion. It is so light and yet so moisturising it is unbelievable . The bergamot and jasmine fragrance is so relaxing. I recently treated myself to this body lotion having read all the rave reviews. Now I am hooked! It is so light, soaks in really quickly and smells divine. Thanks ESPA.